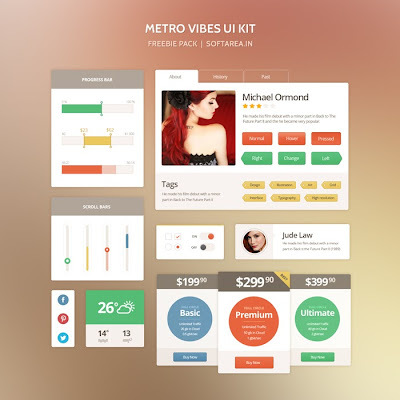 Friends, today we are happy to release metro UI PSD kit contributed by PixelKit.com. The PSD kit offers you an efficient way to deliver an awesome metro look and feel. You’ll never go wrong with a metro, flat design these days, it’s fresh and clean and most importantly it’s easy on the eyes and lets your users enjoy the content. The download comes as a layered scalable vector PSD file, made on for 960 Grids. The kit includes elements such as progress bars, tabbed box, scroll bars, check boxes, profile widget, social share, weather widget, price table.